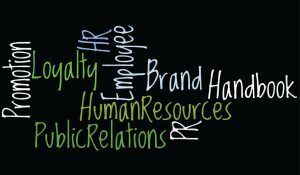 What’s HR got to do with PR? 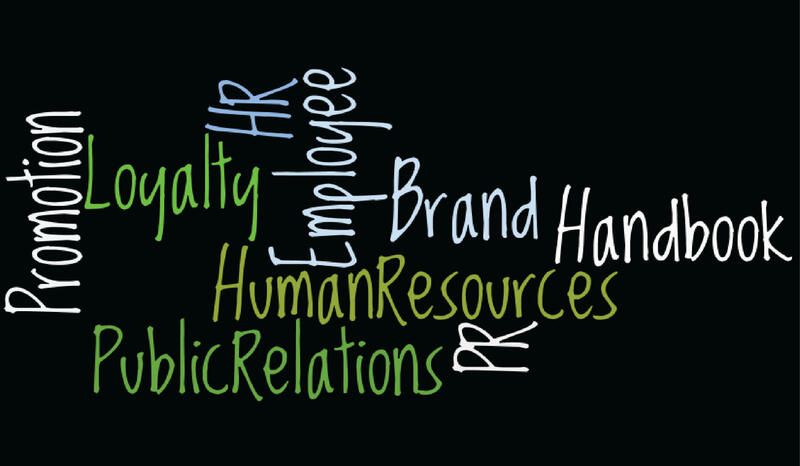 - McCormick L.A.
Home » public relations » What’s HR got to do with PR? What’s HR got to do with PR? If you’ve ever wondered if a company’s human resources programs have anything to do with their public relations, then let me tell you assuredly that the answer to that question is: Definitely! HR is just one component of your overall PR activities but it is really an important one. Do you have employees? Do they talk about work? What do they say? If you haven’t yet realized, those people you employ are the frontline brand ambassadors of your business or organization. What they are saying about their experience can help or hinder your business. Why would you jeopardize the power that employees have by not training them properly and not providing them with a positive message to take home every day? Positive public relations practices need to permeate everything you do. From the way the phone is answered, how visitors are greeted, and with the behavior throughout your offices. Your employees need to feel natural and pleased to carry out these tasks. When people feel good about their place of employment, their language and demeanor reflect that. Here are a few HR potholes that need to be repaired to foster brand loyalty and positive buzz marketing from the people closest to the product or service they deliver. Step one to onboarding a new employee correctly is to coordinate a complete orientation to their new company. Explain the history of the company, the values the founders held when establishing the company, the good things it does in the community, the current mission and vision statements, and every policy an employee might be held responsible for or care about. This is a direct human resources department responsibility and needs to be supported fully by management. Handing over an employee handbook and calling it a welcome is like giving someone a cake mix and calling it a birthday party. There’s no satisfaction in that hollow gesture. Create an orientation that it is a fun experience with relevant information, delivered thoroughly and cheerfully. If you ignore a problem, it festers. The bad feelings and complaints spread well beyond the cubicle walls like drug-resistant bacteria. It infects the lunch room, grows rampantly when alcohol is added at happy hour, and of course becomes deadly when shared on social media. Once the complaint is on one of the ever-growing social media platforms, you, the employer, have lost all control of the message. It is OUT there and might be infecting potential employees, customers, donors–whoever might care about your company. Address the problem as soon as it happens and swiftly resolve the issues for increased work satisfaction and a lot less drama. Maybe the root of employees bad mouthing their employer is the truth—the product isn’t worthy of their approval. Perhaps it isn’t the merchandise itself but the policies of the company that taint the product or service. Bad terms or contracts, price gouging, lack of technical support, unethical selling practices–it could be anything. Have you ever been in a restaurant when the wait staff lets you in on a secret? I’m grateful, but it does make me wonder. Comments like, “It’s frozen from a bag,” or “The appetizer portion is the same size as the entrée and it’s $2 less.” I’ve heard similar revelations on helplines for tech products, “Daily pricing is actually better than a bundle.” These comments reveal the quality of the product and ethics of the organization. Take a look at what you are selling––snake oil or real remedies? If your product isn’t something your employees can be proud of, not something you are proud of, then change the product. Don’t expect your employees to lie as part of their job description. If you didn’t know, deceit is not a positive PR tactic. As you can see, human resources affects public relations from the day an employee is hired. Simply put, take care of your employees, contractors, and consultants, and they will take care of you.